Breteler, F.J. (2014). Novitates Gabonenses 81. The identity and geography of Cola cauliflora Mast. 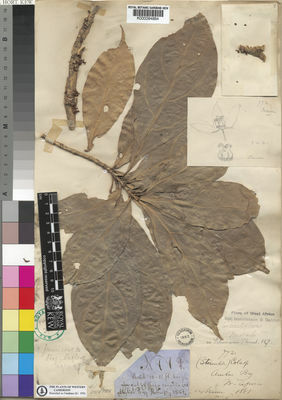 (Malvaceae formerly Sterculiaceae) and its substitute for Gabon and the Republic of Congo Adansonia, sér. 3, 36: 113-119.